All subscriptions through the App Store/iTunes are managed by Apple. 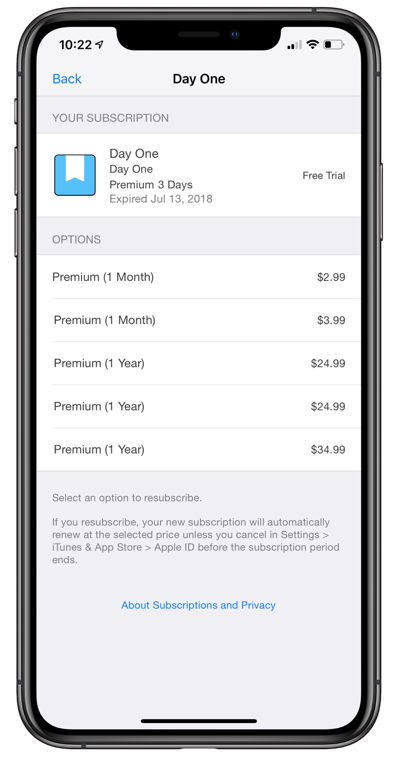 Per Apple terms and conditions, if you don’t cancel more than 24 hours before your renewal date, your subscription might renew. Please note there are different prices for Premium. This is because we have offered sales at different times. There is no difference in features offered. Go to the Play Store > Account (in the sidebar) > Subscriptions > Tap on Manage under Day One > View or cancel your subscription. 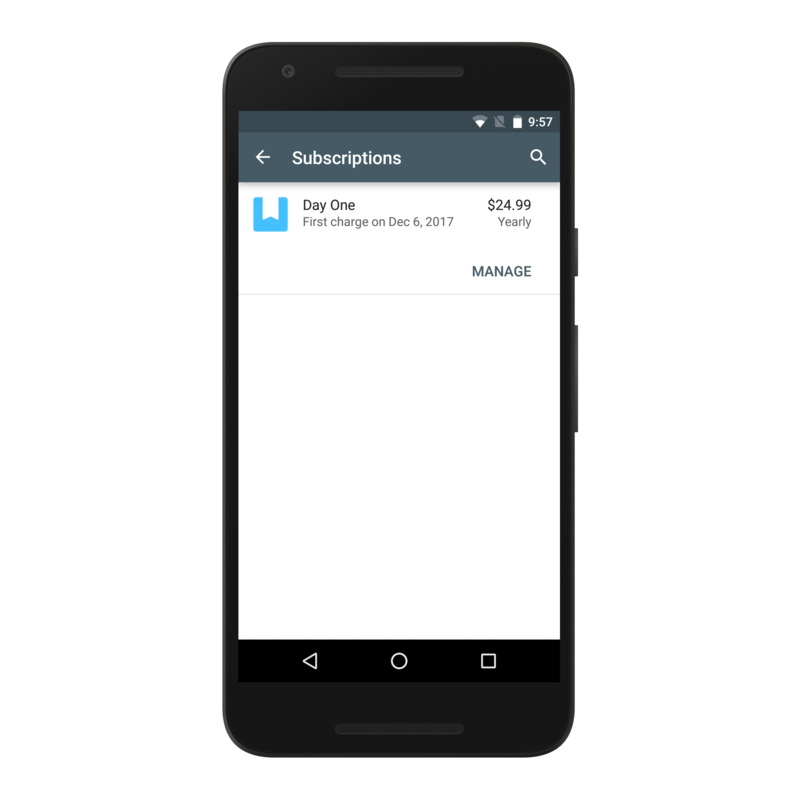 For Android subscription refunds, please contact Day One Support and include the order number from your Play Store email receipt.